Strategy transformation regionalization for the agricultural comprehensive development (ACD) was presented by Ministry of Finance of the People's Republic of China (MOF) in 2014. It is the premise and basis of the adaptation to the requirement of insisting sustainable development and improving competitive power in the new situation of agriculture. Based on the environment factors related to agriculture, like cropland, climate, water resource, terrain, geomorphology, project pattern, ecology, etc., we built 13 indices using the geographic comprehensive regionalization method. The indices are considered in the combination of dynamic and static, qualitative and quantitative, as well as agricultural and ecological factors. Also, the reasonable and operable technique flow was presented for the regionalization. Finally, this paper gave the strategy transformation regionalization for ACD in Ningxia Hui Autonomous Region of China. The regionalization included seven types (prioritized, protective, restricted regions and four transitional types including prioritized and restricted, protective and restricted region, restricted and prioritized, restricted and protective regions) and 24 subtypes. The regionalization results showed that prioritized regions are mainly in the northern Ningxia, which is the best region for agriculture. The protective and restricted regions are in the central and southern Ningxia. In the central Ningxia, drought is the limiting factor for agriculture, and water saving projects should be supported. The ecological environment is fragile in the southern Ningxia, so the ecological agriculture should be applied. This regionalization was presented for two goals: agricultural conservation and eco-environmental protection. This research is the requirement of scientific regionalization including three types of regions (prioritized, protective, restricted regions) presented by the MOF, and it is also applied at the town scale in the provincial or autonomous region for the first time. This study can be an important basis for the overall layout of the strategy transformation for the ACD. It not only presents the foundation of the application of the strategy transformation for the ACD in Ningxia, but also gives the reference to other provinces for the regionalization of the ACD. Some problems on the Comprehensive Agricultural Regionalization of China. Geographical Research, 1982, 1(1): 9-18. Literature review on agricultural regionalization theory and practice research. Chinese Journal of Agricultural Resources and Regional Planning, 2014, 35(2): 59-66. 对国内外农业区划理论和实践的研究进展进行了梳理.美国、法国、 日本等国外发达国家的农业区划工作经历了相当长的发展过程,已经形成了一套相对成熟的理论方法体系和具体的经验做法.20世纪50年代以来,我国农业区划 的内涵、研究对象、学科性质与特点、依据与理论基础、研究方法、研究内容与创新思路等核心问题引起了众多学者的关注和探讨,并初步形成了相对完整的理论体 系.在实践方面,我国农业区划工作成效初显,农业区域布局得到优化,优势农产品产区进一步集中,特色农产品产业带初步形成.但农业区域结构雷同、区域发展 不平衡、产业化程度低等问题依然存在.未来,我国农业区划工作要围绕”三农”问题的解决,运用定性与定量相结合的动态方法,进一步发挥农业区划在农业多功 能拓展以及工业与农业、城市与农村、市民与农民之间统筹协调发展中的重要地位与作用. The Agricultural Regionalization Research Team of Geographical Society of China. 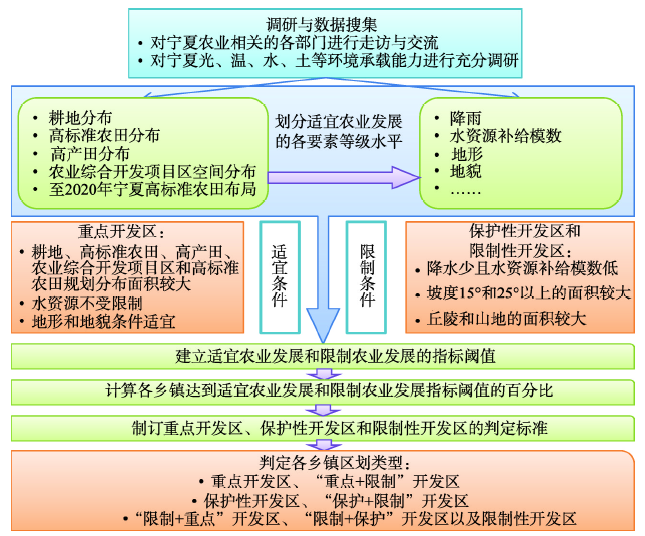 The new delelopment of agricultural regionalization in China. Acta Geographica Sinica, 1965, 31(4): 269-276. Fundamental problems on the division of agricultural regions of China. Acta Geographica Sinica, 1957, 23(2): 127-144. Deng Jingzhong.The Research Methodology of Agricultural Regionalization in China. Beijing: Science Press, 1960. The preliminary discussion of national agricultural regionalization. Acta Geographica Sinica, 1963, 29(4): 265-280.
. Soil Fertilizer, 1979(6): 3-7. Some problems on the agricultural regionalization. Scientia Geographica Sinica, 1981, 1(1): 11-21. Zhou Lisan, Sun Han, Shen Yuqing.Comprehensive Agricultural Regionalization of China. Beijing: Agricultural Press, 1981.
. Chinese Journal of Agricultural Resources and Regional Planning, 1984(1): 57-68. Zhou Lisan.Theory and Practice of Agricultural Regionalization in China. Hefei: University of Science and Technology of China Press, 1993. Xu Hongdai, Wei Xin, Huang Wei, et al. Life Sci. ), 2008, 34(4): 447-452. Studies on agricultural regionalization form the perspective of virtual water: A case of Huang-Huai-Hai Plain. Chinese Journal of Agricultural Resources and Regional Planning, 2011, 32(2): 53-57. Chen Xiaohong, Wang Yujuan, Wan Luhe, et al. Study on the eco-agriculture regionalization based on hierarchical cluster analysis in Northeast China. Economic Geography, 2012, 32(1): 137-140. Liu Yuying, Shi Daming, Hu Yixin, et al. Risk analysis and regionalization of agrometeorological drought hazard in Jilin Province of Northeast China. Chinese Journal of Ecology, 2013, 32(6): 1518-1524. Wang Lianxi, Meng Dan, Geng Xiuhua, et al. GIS based drought risk assessment and zoning in Ningxia. Journal of Natural Disasters, 2013, 22(5): 213-220. Liu Y, Zhang Y, Guo L.
Towards realistic assessment of cultivated land quality in an ecologically fragile environment: A satellite imagery-based approach. Applied Geography, 2010, 30(2): 271-281. Miao Bailing, Hou Qiong, Liang Cunzhu. 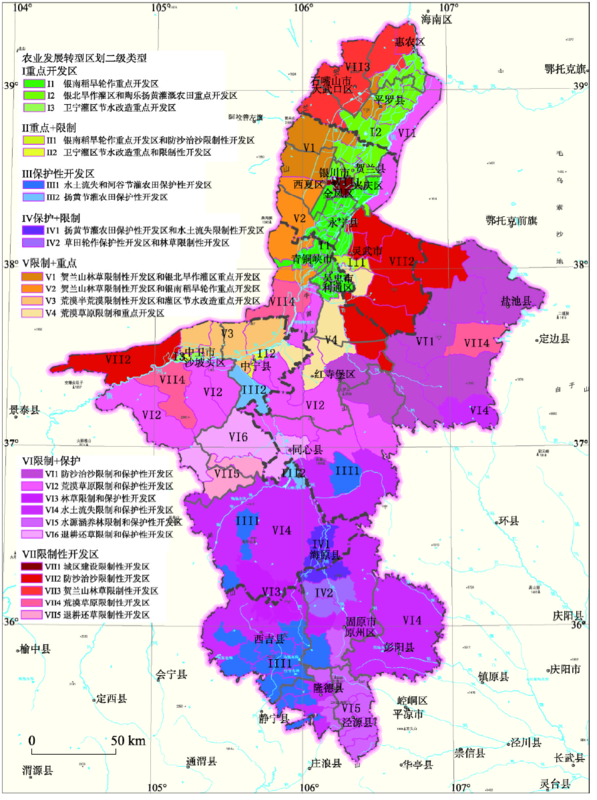 Agricultural climate regionalization of dryland farming for potato in Yinshan based on GIS. Chinese Journal of Applied Ecology, 2015, 26(1): 278-282. Lv Xiaofang, Wang Yanglin, Zhang Yili, et al. Research on agricultural functions regionalization and sustainable development strategy of ecologically vulnerable environment in the west of China: A case of Yanchi county in Ningxia Hui Autonomous Region. Journal of Natural Resources, 2007, 22(2): 177-184. Liu Yanhua, Zheng Du, Ge Quansheng, et al. Problems on the research of comprehensive regionalization in China. Geographical Research, 2005, 24(3): 321-329. Outline of physical geography regionalization in China. Acta Geographica Sinica, 1954, 20(4): 395-418. China comprehensive natural zoning draft. Chinese Science Bulletin, 1959, 18: 594-602. Hou Xueyu.Chinese Ecological Regionalization and the Development Strategy of Big Agriculture. Beijing: Science Press, 1988. Problems on the research of natural regionalization in China. Acta Geographica Sinica, 1961, 27(1): 66-74. A new scheme for comprehensive physical regionalization. Acta Geographica Sinica, 1983, 38(1): 1-10. Zheng Du, Ou Yang, Zhou Chenghu. Understanding of and thinking over geographical regionalization methodology. Acta Geographica Sinica, 2008, 63(6): 563-573. An integrated approach to classification of territorial system: A case study of Tibetan Plateau. Geographical Research, 2005, 24(2): 169-177, 321. Draft of major function oriented zoning of China. Acta Geographica Sinica, 2015, 70(2): 186-201. Gu Chaolin, Zhang Xiaoming, Liu Jinyuan, et al. The development spatial regionalization of Yancheng City and relevant consideration. Acta Geographica Sinica, 2007, 62(8): 787-798. Wang Chuansheng, Zhao Haiying, Sun Guiyan, et al. Function zoning of development optimized area at a county level: A case study of Shangyu, Zhejiang. Geographical Research, 2010, 29(3): 481-490. The scientific foundation of major function oriented zoning in China. Journal of Geographical Sciences, 2009, 19(5): 515-531. 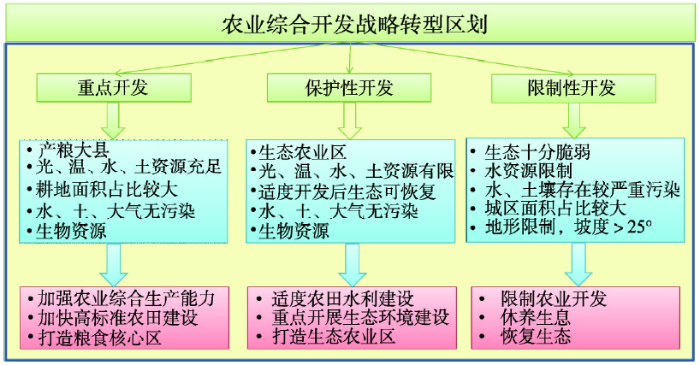 <a name="Abs1"></a>Major function oriented zoning (MFOZ hereafter) is the guideline for optimizing the spatial pattern of regional development in China, which entails both theoretical and methodological innovation in the academic field of economic geography. This study analyzes the basic features of territorial function and puts forward a spatial equilibrium model for regional development for the first time. It argues that there exists a trend of regional convergence in the average value which indicates the comprehensive development status of any region. Based on this finding, the study illustrates that the formation of functional zone should be conducive to the narrowing of regional gap and that free flow of resources between regions is the prerequisite to spatial equilibrium. It also investigates the impact of territorial functional evolution on the process of spatial equilibrium and suggests that the maximization of benefits derived from zoning proposal is interrelative with the method of regional division and the degree of understanding towards the temporal changes of territorial function. Furthermore, this study goes on to examine the scientific foundation of several issues concerning the reconciliation between contradictory functions of development and protection, the selection of indicators and the spatial and temporal features of MFOZ. It is then probes into the rationality of achieving dual goals of efficiency and equality simultaneously through three-dimensional flow and spatial equilibrium. The paper ends with discussions on the position, implementation and coordination of MFOZ from the perspective of institutional arrangements of spatial governance including law, planning and government policy. Zhao Yan, Wang Zhiguo, Sun Baoping, et al. A primary study on scheme of soil and water conservation regionalization in China. Acta Geographica Sinica, 2013, 68(3): 307-317. Zheng Jingyun, Yin Yunhe, Li Bingyuan. A new scheme for climate regionalization in China. Acta Geographica Sinica, 2010, 65(1): 3-12. Feng Zhiming, Pan Mingqi, Zhang Jing. Study on zoning of China's integrated land consolidation. Journal of Natural Resources, 2006, 21(1): 45-54. Xu Jitian, Chen Baiming, Zhang Xueqin. Ecosystem productivity regionalization of China. Acta Geographica Sinica, 2001, 56(4): 401-408. 生态系统生产力区划是对生态系统生物生产能力在不同地域的差异性 和相似性进行分区.本项研究根据序列划分、相对一致性、主导生态系统、区域生态系统共轭性、县级行政单元完整性等原则,把全国划分为12 个1级区(生态系统生产力区域)、64个2级区(生态系统生产力地区),区划结果反映出中国生态系统生产力等级分布存在有明显的等级阶梯分布,而且这种阶 梯分布与中国的地貌轮廓的3级台阶有良好的关联,总的来说,全国大部分生态地区生态系统生产力水平可以用农田生态系统的发展水平作为参照,而有些生态地区 由于其利用结构的特殊性、对各类生态系统投入的不平衡导致了农田生态系统生产力与综合的生态系统生产力水平的变异. Xie Gaodi, Zhang Changshun, Zhang Linbo, et al. Journal of Natural Resources, 2012, 27(1): 154-162. Li Bingyuan, Pan Baotian, Cheng Weiming, et al. Research on geomorphological regionalization of China. Acta Geographica Sinica, 2013, 68(3): 291-306. The Second Land Survey of Ningxia Hui Autonomous Region Atlas Compilation Committee. The second land survey of Ningxia Hui Autonomous Region Atlas. Beijing: Surveying and Maping Press, Sino Maps Press, 2012. Ji Yongzan, Yan Huimei, Liu Jiyuan, et al. Spatial distribution pattern of Chinese high-yield, middle-yield and low-field cultivated based on the MODIS data. Acta Geographica Sinica, 2015, 70(5): 766-778. Government of the Ningxia Hui Autonomous Region. 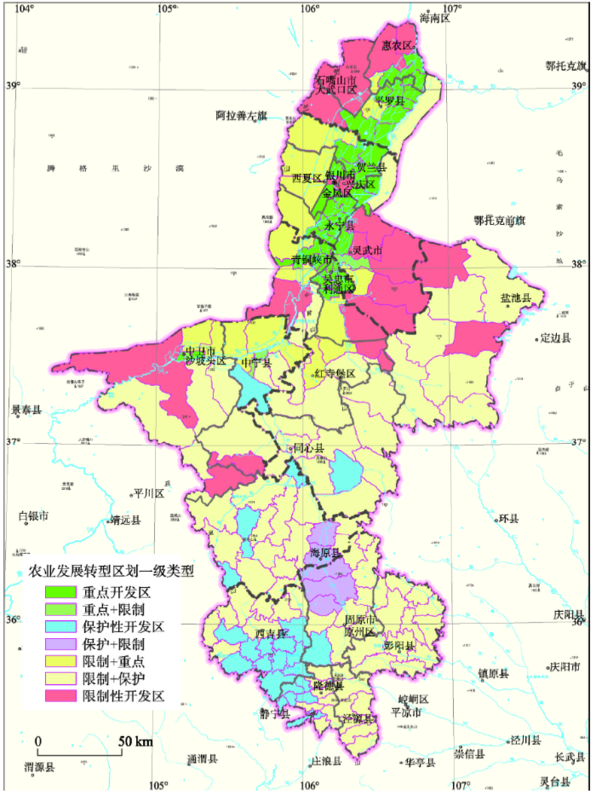 Atlas of Economic and Social Development of Ningxia and the Surrounding Neighboring Provinces. Beijing: Surveying and Maping Press, Sino Maps Press, 2013. Zhou Chenghu, Cheng Weiming, Qian Jinkai, et al. 气候 乡镇降水低于200 mm面积百分比 气象局气象站点数据的插值结果 如果乡镇降水低于200 mm的面积占50%以上,且水补给模数小于1万m3/a·km2的面积比例较大,说明该乡镇受到严重的水分条件限制. 地形 乡镇15°以上坡度面积百分比 30 m分辨率DEM数据计算坡度结果 保护性或限制性开发区：乡镇15°以上坡度面积比例占50%以上.